Since the year 2000, IHL Consulting Group, Inc. has operated as a professional group of FDA Consultants to provide FDA compliance advice to the pharmaceutical, medical device, and biologics industries in the United States and around the world. Our FDA Consultants have over 100 years of Regulatory Compliance experience and consist of former (ex-) FDA Investigators/ Inspectors and Specialists, and trusted industry partners. In today's regulatory environment, FDA compliance and a sound Quality System and infrastructure are strategic keys to the success of any FDA regulated industry. With so much at stake, you need sound advice from experienced and FDA Consultants and professionals you can trust - FDA Consultants who will help clients minimize risk and target their resources to the most important compliance issues. 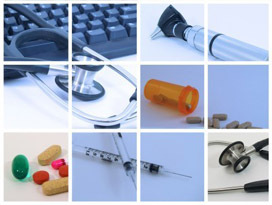 Whether its Mock GMP, Quality System, or Pre-Approval Audits; or targeted FDA Training and Quality Assurance support, IHL commits to you, our clients and trusted partners, to always seek solutions that will ensure your best chances of FDA success - and solutions that ensure you make the right critical decisions for your company. We are committed to walking with you through the regulatory process. • Respond to your inquiries quickly, professionally, and with the goal of within 24 hours. • Provide personal attention to your inquiries with professionalism and courtesy. • Maintain open lines of communication with the highest levels of our company. • Maintain the highest standards of integrity and honesty. • Never provide unnecessary, billable services. • Work tirelessly to resolve any issues you may have with our company until you are completely satisfied. • Seek strategic solutions rather than simply outlining lists of problems; and exercise pragmatism in developing these strategies. • Maintain flexibility in adapting to your changing needs. • Provide exceptional advice, work products, and service. • Honor your business with us - always remembering there are numerous other consultants from whom you could have requested advice.